I feel blessed to teach yoga and be part of this skilled team for this retreat. It's a great gift that people offer to themselves when they learn how to find tools to reach their inner ressources instead of jumping on drugs and getting addicted to chemical tricks. The "overglorification of busy" is making people sick, and to catch up with the fast pace of everyday life, they reach for fast solutions to cope. Health is wealth, take the time to reset your system and connect to your inner wisdom. We are all healers and check these retreats if you need some help. Skilled people with a big heart will help you. Curious about the secrets of the tantrikas ? I offer now customized sessions to support women to unleash their sensual power, and remove any block about intimacy, sexuality or femininity. 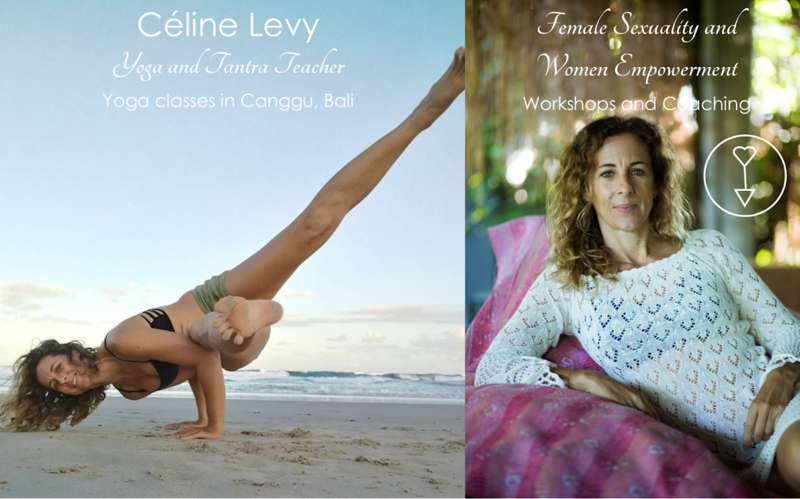 Get the chance to receive personalised tantric yoga guidance to move beyond your limitations and embody your sensual self fully. First article for Yoganova, the french magazine online which tells you only the truth ! They rocked it ! 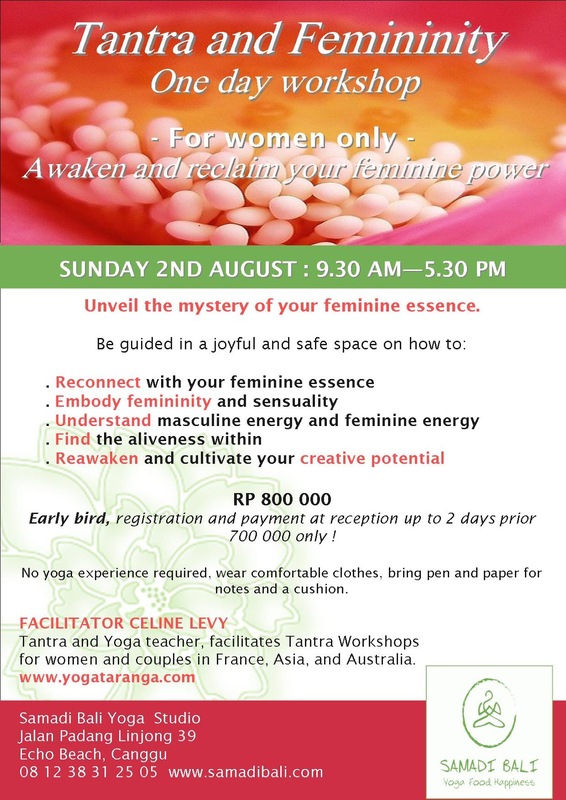 Thanks to the vibrant women who participated wholeheartedly to the last "Femininity and radiance" workshop ! 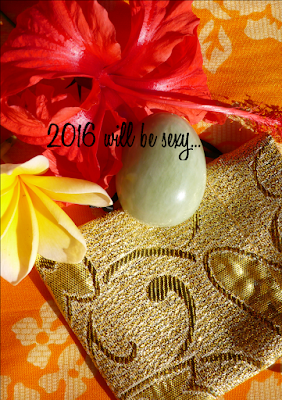 "Femininity and Radiance" is back at the Yoga Barn ! We women are givers and there are some times in life where we feel the light shutting down inside us. This is a one day treat to regain this inner sparkle or enhance it even more. 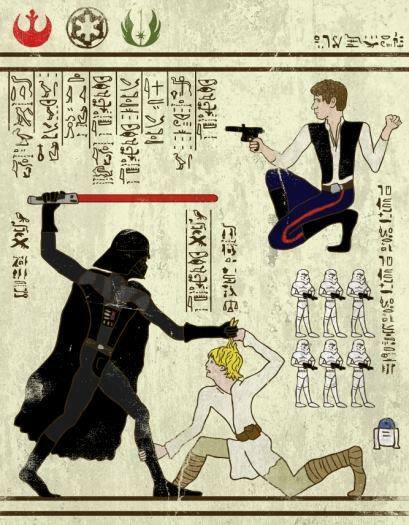 We will work deep on the art of feminine embodiement. 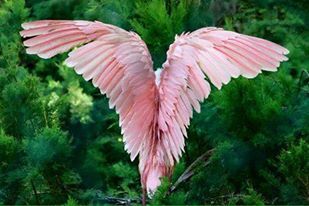 Far from what the medias call beauty there is an inner source of joy and aliveness inside us which is asking to shine through. Let's see how we can reclaim or enhance this light. 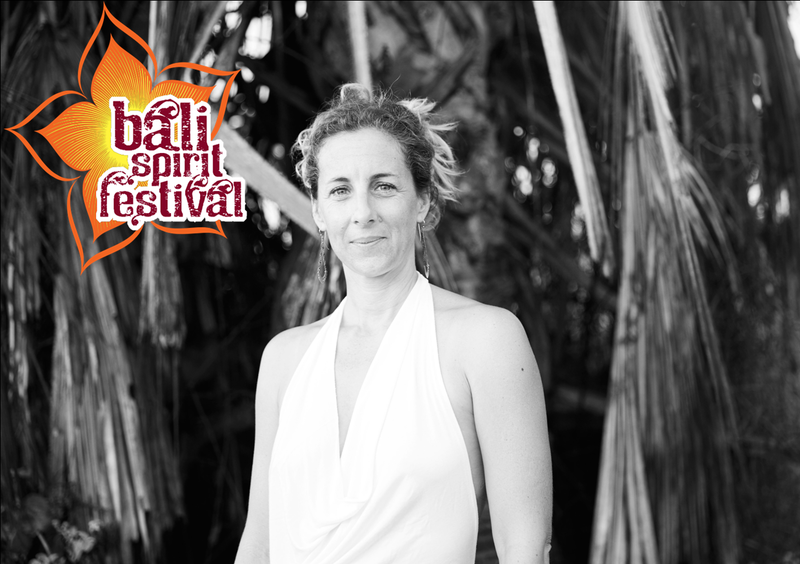 During the morning we will work more through the body, awakening our senses, deepening our presence through simple practical tools, increasing sensuality, unleashing our creative energy. 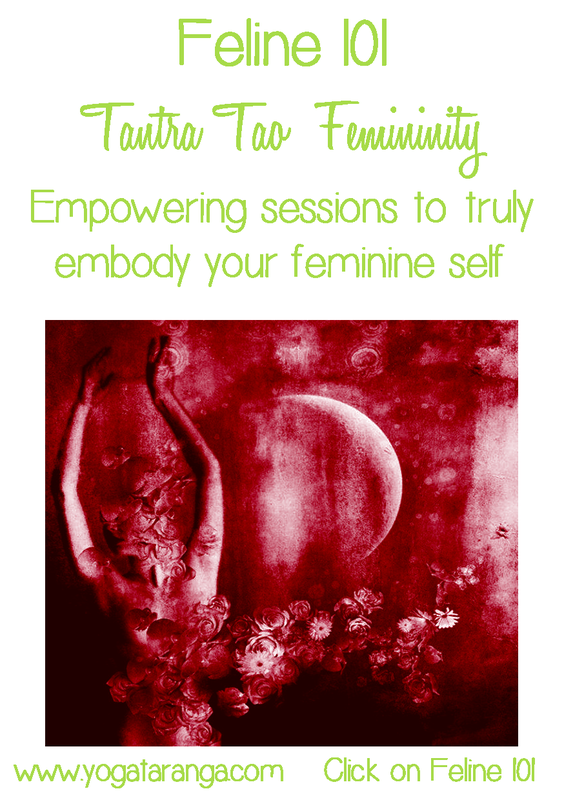 The afternoon we will dive into those core beliefs and blocks and our relationship to the feminine energy. Wear comfie clothes which allow you to move freely, bring a pen and paper. No yoga experience is required. 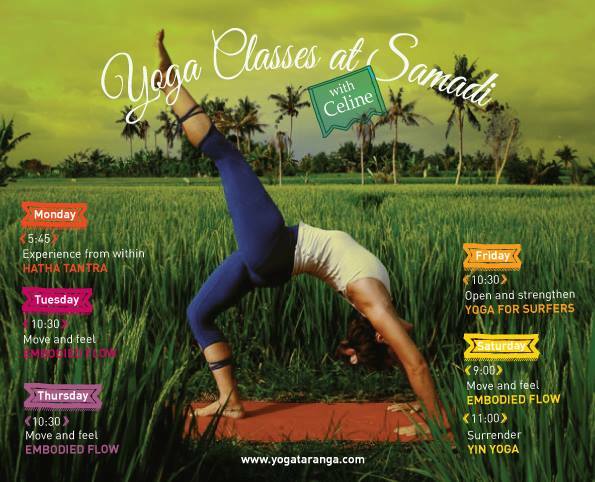 For more infos about the content, click on Feline Yoga workshops. Last time it was full, a not to miss ! Book your space ladies ! 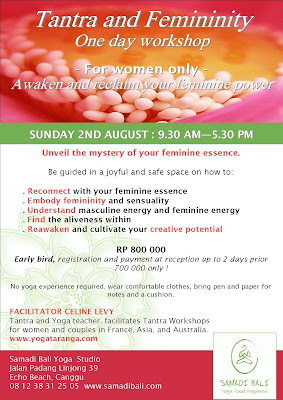 Enjoy the early bird price and embark on a safe feminine journey toward intimacy and sexuality ! There is much more than what you already know, come and find out ! . Get ready to go deep ! It's on ! 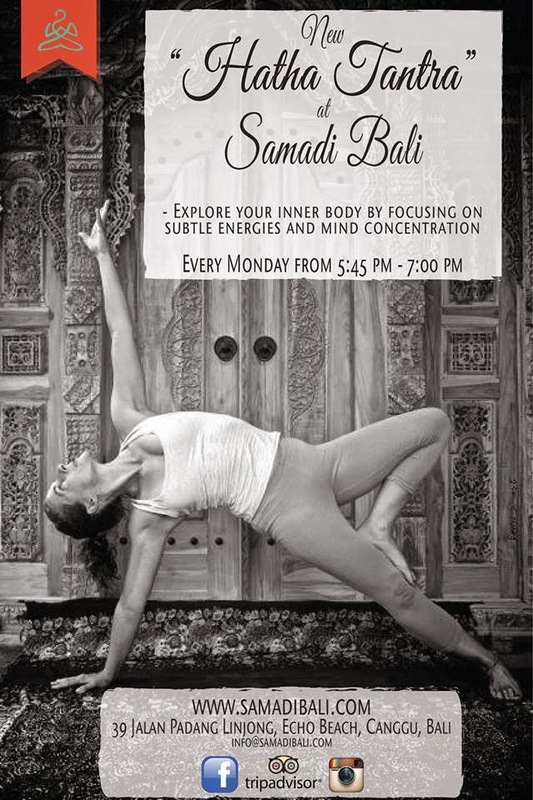 Hatha Tantra class every monday 5.45 @ Samadi, everyone is welcome .